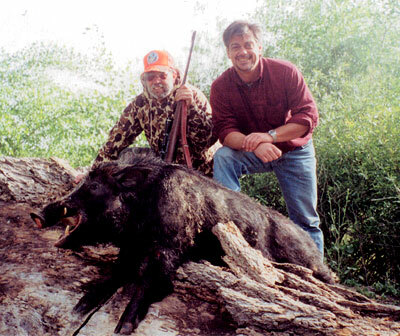 Ron Silva (left) took this wild boar on May 5, 2000 in the King City area of California. Ron is from San Jose, California. The boar weighed 270 pounds and had 3-inch tusks.